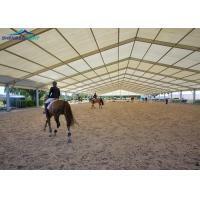 The width of customized indoor structures ranging from 3m to 60m can be provided by our company, and the length is not restricted. This luxury wedding project with design of A-structure not only highlights its elegant, fashionable style, but also become the landmark of the scene.Full line accessories are available, such as glass wall system, glass door system, flooring system, Lining and curtain , and so on. 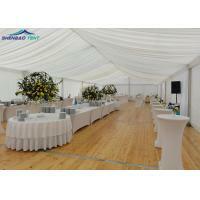 It is widely used for different occassions, inlcuding wedding, party, banquet, event , conference . 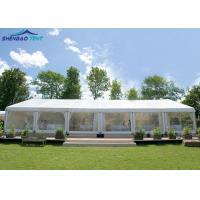 The modular design aluminum clear span tent , it could use for both permanent and temporary . The frame could use for around 20- 25 years and the fabric could use for 8- 10 years. 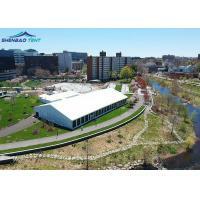 A shape design tent is the most popular design tent , and it is widly used in different function , like wedding , exhibition , wedding , warehouse , sport tent and so on . 100 percent inside area for usage. Since the company founded ten years ago, it has persisted in the path of professional development and continuously improved the products quality. At present, the tent products are aluminum structure, from the shape, there are A-shaped tent, pagoda tent , arc tent , circle tent , dome tent and special-shaped tent. 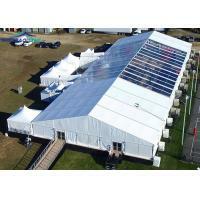 They are widely used in exhibitions, expositions, wedding etiquette, logistics warehousing, beer festivals, food festivals, sports events, waiting rooms, parking and other outdoor activities, as well as emergency canopy for weather reasons, in addition, a variety of non-permanent attractions and idle land also use our company's tent products. 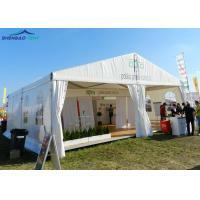 Tent are now widely used in all walks of life, they have broad prospects for development. 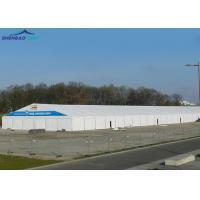 Currently the company's business is mainly divided into two parts: manufacturing and rental. We continues to introduce advanced manufacturing equipment and professional technicians, strengthen standardized management, and have greatly improved its manufacturing capacity. The production capacity can reach 10,000 square meters per month, and the product quality stability rate is maintained at a relatively high level. 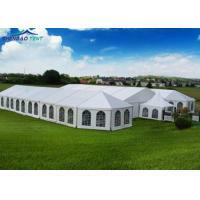 Tents with spanning 3-50 meters are available. Products are sold a lot at home and abroad. 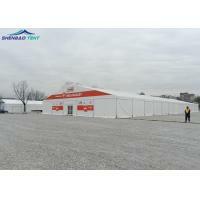 In the case of rental, the company radiates the entire country in East China, and various specifications of tents near 50,000 square meters are available for rent. Sales wins in quality, leasing wins in service. For ten years, we have always won the customer's wide acclaim with dedicated service and full support. The customer's need is our pursuit. In the future, we will continuously design and produce various kinds of tent products that are safer, more beautiful, and more convenient based on customer’s need. We sincerely welcome clients from all over the world to inquiry, to visit, to negotiate for cooperation!